Footage has emerged of a damaged Lion Air plane after it struck a pole on the runway, just a week after the Indonesian airline's Boeing 737 crashed killing all 189 people on board. 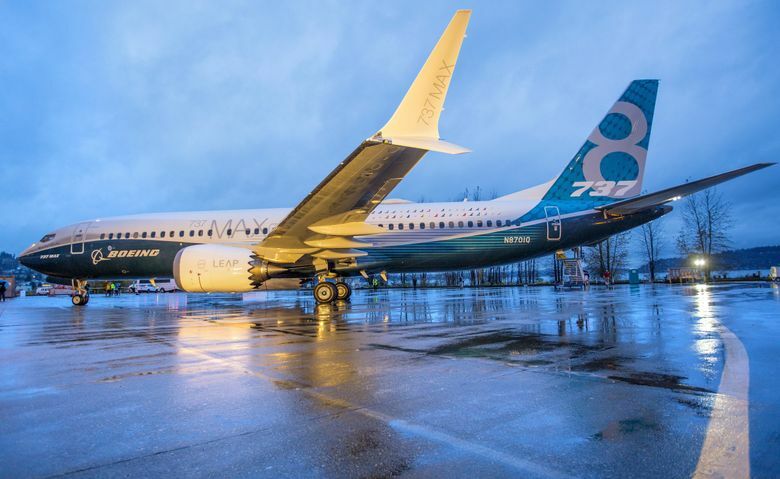 Following the fatal crash of a Lion Air jet in Indonesia last week, Boeing has issued a warning to airlines operating its new 737 MAX about what to do in the event of an "angle-of-attack" sensor failure and avoid a unsafe nose-dive. When the angle of attack sensors - which detect how wind is meeting the wing - perceive incorrect readings the plane may think it is experiencing an aerodynamic stall, causing it to dive. "We are issuing this AD (airworthiness directive) because we evaluated all the relevant information and determined the unsafe condition described previously is likely to exist or develop in other products of the same type design". After safety officials from Basarnas, Indonesia's national search and rescue agency, retrieved the aircraft's flight data recorder (FDR), a review of the data by Boeing and Indonesian safety investigators pointed to the plausible cause of the crash. In a new blow to the Indonesian budget carrier, a Lion Air jet was due to take off from Bengkulu Airport on Wednesday night when it smashed into a lamp post. Chairman Soerjanto Tjahjono said the airspeed indicator and sensor problems are related. "I would definitely be looking at the man-machine interface and how pilots respond", said Cox, a former airline pilot who flew earlier versions of the 737 and specialized at the NTSB in cockpit actions. "So far, all the results are good and all are airworthy", Director of Aircraft Airworthiness and Operations, Captain Avirianto, said in a statement. Boeing issued a statement on an update to the 737 MAX flight manual on Tuesday, Nov. 6, a day after investigators discovered JT610's faulty airspeed indicator. The aircraft plunged into the sea just minutes after the take-off from Jakarta. Meanwhile, the Wall Street Journal characterized Boeing's bulletin as a "safety alert" covering "potentially suspect flight-control software that can confuse pilots and lead to a steep descent of the affected aircraft model". "Is this fatal? NTSC (National Transportation Safety Committee) wants to explore this", he said.